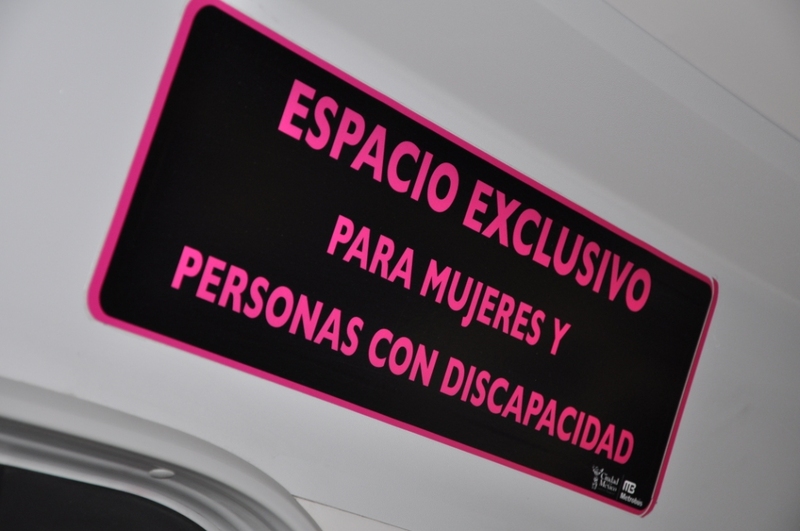 A sign inside the bus, designating an exclusive space for women. Photo by Mariana Gil / EMBARQ Brazil. A version of this post was originally published on TheCityFix Brasil by Maria Fernanda Cavalcanti on April 30, 2012. Beginning on April 29, EMBARQ Brazil is organizing two missions with journalists from Rio de Janeiro to visit some of the best bus rapid transit (BRT) systems in the Americas. The project is funded by Fetranspor, the federation of passenger transport companies in the state of Rio de Janeiro. This post is part of the “BRT Experience” series. On Day One of the “BRT Experience: Press Mission” study tour, participants learned about the characteristics of the Metrobus bus rapid transit (BRT) system in Mexico City. We began the day on Line 3 at Hildago Station and ended it on Line 1 at the Indios Verdes terminal station, one of the most important and busiest stations of the whole system. Something that caught our attention right away were the spaces designed exclusively for women, children and the elderly at most stations and within buses. Metrobus also reserves special areas for children. Photo by Mariana Gil / EMBARQ Brazil. A civil servant and resident of Mexico City, Diana Mont’Serrat, 24, said she takes Line 3 every day, covering the 8-kilometer trip from home to work, averaging about 10 minutes. 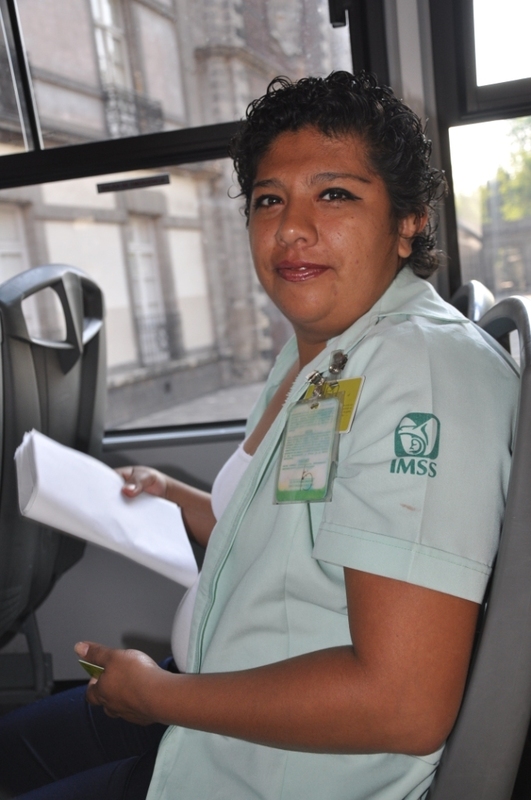 For her, the exclusive access for women provides an escape from the many reported cases of abuse that occur within the buses. Stay tuned for more trivia and information on other features of the BRT system in Mexico City! With Metrobus, it takes Diana less than 10 minutes to travel the 8 kilometers from home to work. Photo by Mariana Gil / EMBARQ Brazil.